Welcome my friend to my MailEngine Review! You are probably asking yourself what this new autoresponder can do for you and how is it different from any popular autoresponder out there. I will show you here what this autoresponder is all about and will let you know if this is for you or not. And if it is not for you, then I will let you know where to go instead in the last section of this Cyril Jeet’s Mail Engine Review. Price: $37 One-Time Fee for the light version, $47 for the Pro. Multiple optional upsells available. MailEngine is a full-fledged autoresponder system is built right inside WordPress for more convenience and ease of use. Anyone can install MailEngine on their WordPress website as a plugin and get started with it in few minutes. The MailEngine Autoresponder is equipped with many of the features that you use inside the usual popular autoresponders that require you to pay monthly. How Does MailEngine Exactly Work? Import existing lists without having your list subscribers to optin again. Send mails using SMTP’s, PHP-Mail, G-suite & GMail. Sign-up new subscribers using optin forms. Distribute the mailing through multiple SMTP’s & sending methods. Process one mail-job with multiple mail out methods for lowest cost and best delivery. Divide one email blast over multiple SMTP’s and sending methods. 100% GDPR compatible with un-subscription ability built in. comes with a powerful mail marketing training that shows you how to legitimately mail market using GMail infrastructure. Integrates with G-Suite and Gmail API’s in order to give you the opportunity to send your marketing mails using Gmail or G-Suite (preferable) to get great deliverability at a very low cost. Works for email lists of up to 50,000. 100% Support for scheduling email blasts. Spintext in the Email body and subject – Every email you send is unique. So far, Mail Engine is the only mailing client that has introduced Spintext in the email body and subject. When you use Spintext, each email that goes out to every single subscriber is 100% unique. The cost of the MailEngine Lite version is $37 one-time fee. And you can get it for a discounted price at $27 for a limited period of time through this link. The MailEngine software by Cyril Gupta comes with 30-Days money back guarantee if you purchase through one of the links on this page, which makes it safe to try. This version however comes with some limitations regarding the number of SMTP’s, number and size of lists, number of forms, …etc. But the first one of the following upsells offers you more flexibility and features. Support for unlimited mailing lists. Supports for lists of any size. Rights to install on unlimited locations. Commercial license with rights to Sell EMail Marketing as a service. Ready-made sales page to recruit email marketing customers. You need to regularly clean your lists in order to ensure proper deliverability, and this desktop based list cleaning and management tool will make it easy to maintain any of your lists. This upgrade, Leads2list, captures leads from Facebook as per the niche you have set in. These leads are sought in a perfectly legit manner and the process is 100% GDPR complaint. Once the leads have been collected, the Leads2list tool will then feed them straight into your autoresponder. Low price and one-time fee instead of paying the monthly payments for the popular autoresponders. You can get the discounted price for a limited time through this link. The text spinning and the URL spinning are unique and can improve your deliverability rates and therefore, more potential customers and revenue. The first upgrade is excellent, I recommend you get it if you are going to purchase the Lite version. Works with G-Suite & GMail. Works with different SMTP’s & PHP-Mail. 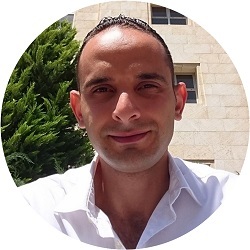 Cyril Jeet is a respectful software creator and has already developer many useful software programs such as: Traffic Jeet 4, arbiMate & Pinflux 2. 30-Days money back guarantee if you purchase through one of the links on this page, which makes it safe to try. The Lite version comes with limitations, therefore, it is better to get the first upgrade if you are going to purchase the MailEngine software. It doesn’t seem to have the segmentation features that are available in the most popular autoresponders like GetResponse for example, but that’s fine when you think about the low price. Although the text spinning can be useful for deliverability purposes, but I don’t know how efficient it would be when spinning the text when it comes to the human being that will read the text as many text spinners give not so good output. Test it on a small sample before you send bulk emails. MailEngine software is a good tool for those who have small email lists and on budget or who haven’t started using one of the popular autoresponders. Since the MaiEngine is still new, there’s not much feedback about it. But Cyril is respectful software developer and is well-known in this field. Conclusion – Is MailEngine Worth It? MailEngine Autoresponder by Cyril Gupta is worth the price in my opinion. It can be useful if you have small lists and you don’t want to spend money on the monthly subscription of autoresponders or for those who are just starting. 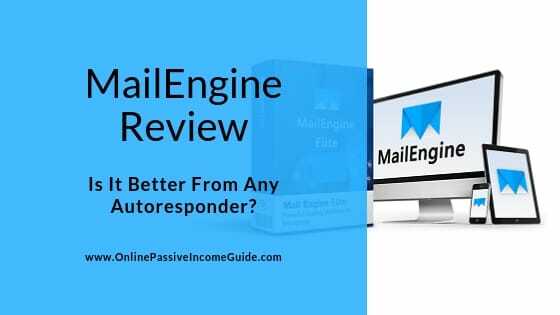 However, if you already have a big email list and you are already comfortable using one of the popular autoresponders with a monthly subscription, then I wouldn’t recommend changing in general. And of course, all of the above is based on the fact that you already have an online business, or an offline business with online presence and want to use email marketing as one of the methods to connect with their customers or to generate leads and more traffic to their existing websites. But in case that you still don’t have any kind of online business or offline business with online presence, then MailEngine WordPress autoresponder isn’t for you. A Recommended Alternative To MailEngine? As I explained earlier, MailEngine WordPress Autoresponder software by Cyril Gupta is a good tool in case that you already have an online business and you want to start using email marketing as one of the methods to communicate with your existing customers and prospects in your EXISTING business, and what I’m offering here is NOT an alternative to the MailEngine software itself. Instead, what I’m offering here is a program that will teach you the #1 method of making money online in case that you don’t already have an existing online business. The method I’m recommending for you to learn is a 100% LEGIT method, and it is the one that I personally follow in order to make money online. This method is a newbie-friendly one that requires the lowest possible investment in money, and therefore, it comes with the lowest possible level of risk. And the place where I will recommend that you learn this method from is the same place where I personally continue to learn everyday, and that’s why I recommend it to you. You can learn about this method if you give YOURSELF five minutes and read my Ultimate Make Money Online Guide. Inside my FREE guide, you will understand what this method is, how it exactly works, and why I say that it is the best method of making money online. And in my guide, you will learn about the same platform where I leaned this great method. This platform is the same place that will provide you not only with all the necessary detailed step-by-step training, but it will also provide you with all the necessary tools that you will need in order to build your business, along with the great technical support and the amazing community support for NO Extra Cost! In addition to that, if you join this platform I recommend in this Make Money Guide, you can get direct coaching by ME. And don’t worry about risking your money as this platform will offer you a Starter Membership in order to try it for FREE before putting in any money. No Credit Card Required. 100% Risk FREE! This is in case that you still don’t have any kind of online business.